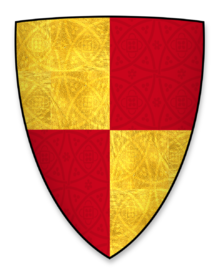 Geoffrey de Besiles was a second generation 'Englishman' whose grandfather, Macey Bezill, was one of numerous Anglo-Norman knights who curried the favor of the English king, looking for positions, land and power. Geoffrey's father was not the heir, but had married an heiress thereby acquiring her estate for their descendants. He, Geoffrey, was a minor when his father Mathias de Besilles died in 1295. He was born probably about 1285 based on testimony given at his mother's IPM. His mother was Elizabeth d' Avranches; her father, John, had died when she was only three. Her inheritance and her marriage were awarded to Emery Bezill, his father's uncle. Elizabeth and Mathias have only one documented child, Geoffrey. In 1315 Geoffrey's mother Elizabeth died, leaving her estates to him. He was said to be somewhere between 24 and 30 years of age at the time of her death. England was still a feudal society when Geoffrey came into his inheritance. The land still belonged to the king, but two hundred or so years post conquest, the great baronial land holding had been chopped into smaller and smaller pieces. Each time the land was divided it resulted in a new level of over lordship. For instance, if Lord A granted land to Lord B, Lord A was the overlord of B. If B granted land to C, he became the overlord of C. This process was called subinfeudation. Each land holder owed service to his immediate overlord. The crown and the great baronial lords were not happy with the fractionalization of their medieval estates. It made it difficult to maintain control of their feudal rights, such as control of minors and their estates and marriages. Elizabeth d' Aranches had experienced first hand what happened when a father died leaving underage children. Geoffrey must have decided that this was not going to happen to his son, so he did what a lot of folks did back then, he employed a medieval loophole. In 1315 he "leased" his land at Bocland and Gamenefeld (Canefeld) to Almeric Fettiplace for 10 marks for ten years. Ten marks, or one mark a year, was an absolute steal for Almeric. At the end of those then years however, the rent would skyrocket to 40 pounds a year, at which point Almeric had the option to drop the lease. Why would Geoffrey rent his land for practically nothing? What he was doing was protecting his son's inheritance. It is likely that his son Thomas would reach his majority by the time the 'lease' ran out, but if Geoffrey died in the mean time, his overlord, the king, could not take control of his son and his son's inheritance and marriage. Geoffrey employed a second method for protecting his son's inheritance of the manors of Brompton Regis and Radcote. In 1318 he applied to the crown for permission to alienate his land. He was granted a license to enfeoff his land to Robert de Walle who would immediately grant it back to Geoffrey and his wife. The remainder would go to their heir. This meant that Robert de Walle was the 'straw' owner of the land and if Geoffrey died his overlord, in this case the King, would be unable to exploit his rights as lord. In 1323 Geoffrey executed a second enfeoff. Again he granted his land to Robert de Walle, and added John de Erlestok to whom he granted his manor at Radcote. This was regranted to him and his wife and the remainder to his son Thomas. This was a complicated business, but if not for these transactions we would know even less about these people. Geoffrey was dead by 13 March 1339, the date of his IPM. His heir was identified as his son Thomas, aged 26 or more. He was probably about 54 years old, a good age for the fourteenth century. In 1343 his widow Agnes was given permission to remarry. To whom we do not know. She lived for six more years, dying in 1349. "Langford Parish: Radcot," in A History of the County of Oxford: Volume 17, ed. Simon Townley (Woodbridge, Suffolk: Boydell & Brewer for the Institute of Historical Research, 2012), 250-269. British History Online, accessed July 25, 2016, http://www.british-history.ac.uk/vch/oxon/vol17/pp250-269. Mathias Bessiles was the son of Mathias and Beatrice Bezill. The surname of this family has been spelled multiple ways with and with out the 'de'. In most of the records I have looked at his name was the french Mathias not the english Matthew. His parents married about the year 1249 and as he was not the heir, he was born at least a few years after. Where was he born? 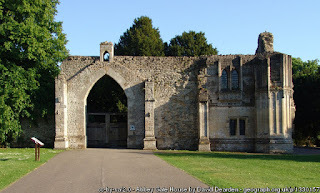 His father held the manor of Sherston Magna in Wiltshire, Alfington in Devon and lands in Gloucestershire. He was constable of Gloucester Castle and of Dover Castle. His children could have been born in any of these places or somewhere entirely different. When it came to his land he was out of luck, his older brother was his father's heir and he got it all. 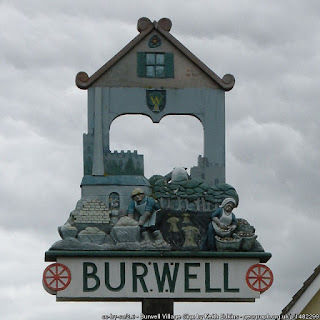 Luckily Mathias' Uncle Emery Bezill was given custody of the heirs and widow of John de Avranches who died in 1258. John had only three girls age 9,6, and 3 as his heirs. Mathias married the youngest, Elizabeth. They probably married shortly after she reached puberty and they were definitely married by July 1272. Elizabeth as an heiress brought to the marriage several parcels of much needed land. Brompton Regis in Somerset was held by William de Say in the late 11th century. He and his daughter Matilda founded a priory of Augustian Canons called Barlynch. William endowed the priory with the manor of Brompton Regis and this was ratified in 1220 by King Henry III. From Matida de Say who married William de Bocland, the manor passed to her daughter Joan de Ferrers Avranches, next to Joan's son John. Joan and her son John continued the family tradition and offered to support the priory. The support of the priory seems to have come to a stop or at least lessened when Mathias Besilles came into the land through marriage. Brompton Regis was held of the King in chief for 1/4 knights fee in right of Elizabeth's inheritance. In 1276 Mathias claimed the manorial rights for himself despite the prior's claims that they had held the right in grant. These rights include the right to hold fairs and markets, grazing rights, the right to hunt, shoot or fish, and of course keep any income that came from these rights. In Fact in Elizabeth's IPM it claimed she had a fishery on the Hadeho River. It does not seem as if the family ever lived in Brompton Regis, it was some 125 miles from the rest of their property which was centered around the Oxfordshire/Berkshire county border. The manor stayed in the family, passing to the Fettiplace family with the marriage of Elizabeth Bessels and Richard Fettiplace. Mathias and Elizabeth did not hold the manor of Buckland. The demense of Buckland was inherited by Matilda de Bocland who married William de Avranches. In turn it was inherited by their daughter Maud who married Hamo de Crevequer and passed on down through their heirs. Elizabeth de Avranches inherited an estate that was part of the manor of Buckland called West Hall. This estate was held of John de Lenham, the heir of Buckland Manor for 20d. and service in his manorial court which was held every three weeks. 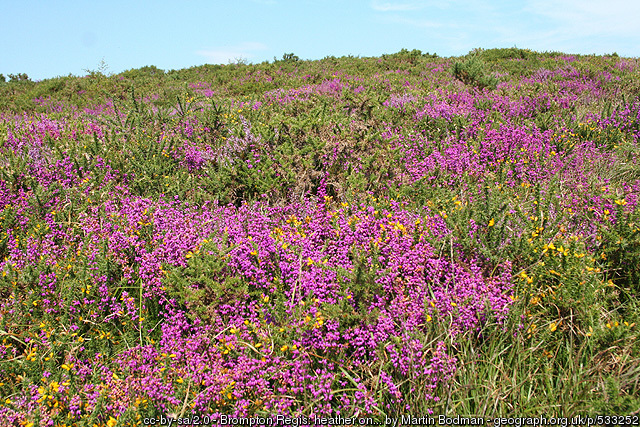 The estate was 110 acres of land, 14 of which were meadow and the other 96 arable pasture. The estate included a messuage, (medieval dwelling house with out buildings) and a free tenement. This would be a tenant who was free as opposed to a serf who was tied to the land. The tenant paid 20 shillings yearly for rent. Between 1367 and 1374 Robert de Lenham the heir to Buckland sued Thomas and Katherine Bessels over the estate of West Hall. 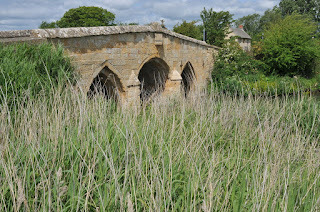 Radcot manor was in the parish of Langford. It was right on the Thames River and the border of Oxfordshire and Berkshire. It was only a few miles from their estate of West Hall. After the Norman Conquest Radcot was given to Hugh de Bocland and it passed through his heirs to Elizabeth de Avranches. There were as many as 35 households in Radcot during the early middle ages. Radcot was a transshipment area, goods left the river Thames to travel by road or vice versa. 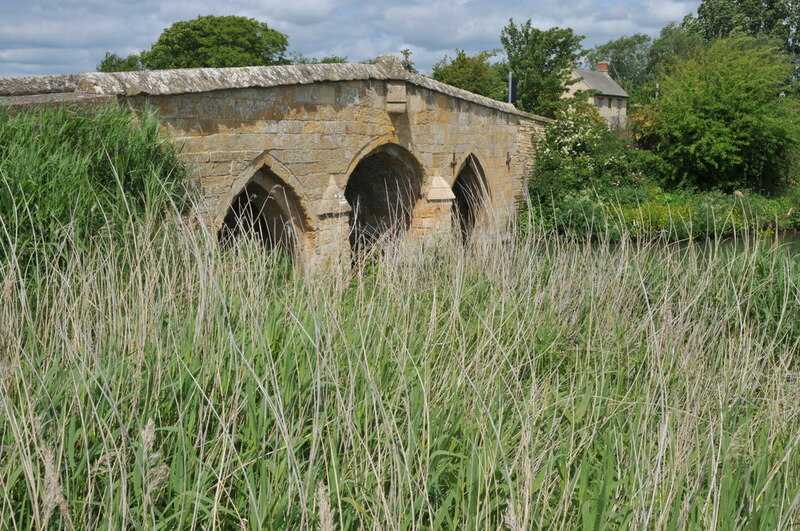 The meaning of Radcot is believed to be reed cottage, and the area is mostly flat meadows and marshes. In 1279, of the 35 households, 31 were unfree, or held by serfs. Radcot was hit hard by the black death in 1349 and the population plummeted. In 1295 Mathias leased Radcot to John Wogan for the duration of his lifetime. The manor reverted to the Bessiles after Wogan's death. Mathia himself died in late 1295. Elizabeth survived him. It was noted in his IPM that she was the heir of his estate and that she was aged about 40. In 1315 Elizabeth died leaving her estates to her son Geoffrey. If she and Mathias had other children they remain nameless. Mathias was about 40 years old when he died and Elizabeth about 60, old for a medieval woman. The estates she inherited had been handed down from father to daughter almost exclusively. The land would now remain in the Bessels family for a few centuries before another daughter inherited changing the owners name to Fettiplace. Public Record Office, Calendar of the Charter Rolls, Henry III - Edward I, 1257-1300, (London : Mackie and Co., 1906) 183. "Houses of Augustinian canons: The priory of Barlynch," A History of the County of Somerset: Volume 2, ed. William Page (London: Victoria County History, 1911), 132-134. British History Online, accessed May 18, 2016, http://www.british-history.ac.uk/vch/som/vol2/pp132-134. William Dugdale, Monasticon, Vol. 6, p. 384-387. "Parishes: Buckland," A History of the County of Berkshire: Volume 4, ed. William Page and P H Ditchfield (London: Victoria County History, 1924), 453-460. British History Online, accessed July 1, 2016, http://www.british-history.ac.uk/vch/berks/vol4/pp453-460. [8A] George Holmes, The Later Middle Ages, 1272-1485, (New York : Norton and Co, 1962) 74-74. For the past few months I have dipped my toe into ancestry dating to the time of the Norman Conquest. The most important thing I've come away with is the realization of how difficult it is to do genealogy on medieval ancestors and how unreliable the information is out there on the net. A lot of what I found was completely unsourced. Avoid ancestry dot com at all costs! Wikitree is not much better. There is a pretty good website called Medieval Lands, it is part of the Foundation for Medieval Genealogy, but beware, experts disagree with the expert opinions found there. The rootsweb hosted GEN-Medieval message list is full of folks who know what they're talking about, but even they disagree. Theories abound, but how do you fit a theory into your tree. You can't. Putting speculative ancestors in a tree, especially if you put it on the web is a disservice to everyone who comes along and copies it. If you do include it, please put up a warning flag to let people know that the relationship is not proven. That being said, here I go diving into the de Avranches ancestry of Gov. Thomas Dudley. In the year 6 Richard I, (1195), a scutage, a form of taxation normally used to pay for war, was raised to pay the ransom to release King Richard from captivity. Simon was recorded as paying 21 pounds and 10 shillings. Two years later, in 1197, later he paid for the second scutage for Normandy. His land in Kent was assessed for 21 knight's fees. Simon continued to appear in the Testa de Nevill and the Great Pipe Roll of King John until about 1203. Simon was married to Cecilia _____. When Simon died in about 1203, she paid the King 100 marks and two Palfreys to remain unmarried. Simon's estates were inherited by his eldest son William. Simon's land holdings seem to have been in the county of Kent. Cecelia held land in her name as well and was recorded in the Testa de Nevill to hold land as a gift of the King in 1219. William had reached his majority prior to 13 John I, 1212, when he was recorded as paying a scutage for Wales. William must have been born by 1191 or earlier. In 16 John I, things were looking pretty good for William. He was wealthy as evidenced by the amount of scutage he paid. He was granted the right to have a yearly fair at Folkestone as well as a weekly market. But these were troubled times. King John was struggling to keep control of his kingdom; the barons were in open revolt. The first baron's war began in 1215 after King John got the Pope to repudiate the Magna Carta which he had be forced to sign earlier in the year. 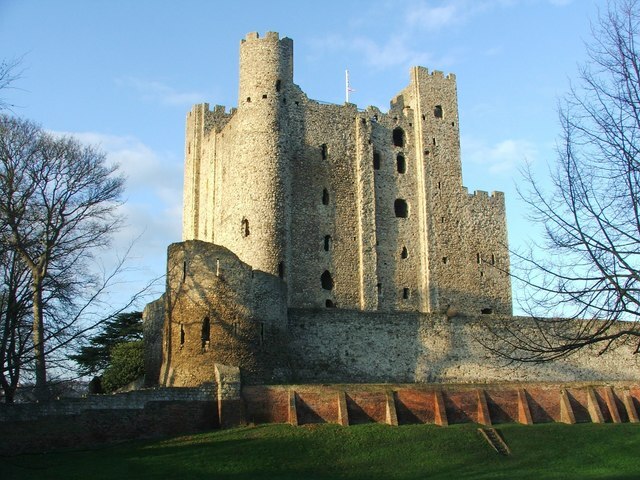 The first battle in this war was the siege of Rochester Castle in Kent. William was one of the rebel barons. John's forces proved too much for the castle and the barons eventually surrendered. John had erected a gallows intending to hang all the rebels, but was persuaded to imprison them instead, err his men suffer the same fate if captured. William was turned over to Peter de Mauley and sent to Corfe Castle. William died in 1230. His children and lands were first given to Hubert de Burgh and then to the Bishop of Exeter for large sums of money. He controlled the land and arranged the marriages of the two children, William and Matilda. William died young but Matilda lived to marry and inherit her father's estates. It seems that all of Simon's lands came from his wife's inheritance. In 1229 he was fined and paid 10 marks for his scutage. His name is in the fine rolls of Henry III on several occasions involving court cases over land. Simon through Joan held the manor of Radcot Grafton in Oxfordshire and Brompton Regis in Somerset. The land at Radcot and Brompton was only held at 1/4 knights fee, not much and the Grafton land was rented from the Noyon Priory in Normandy. Simon was last recorded in 1242 and his wife Joan is known to have died by 1252. In her IPM, her heir was her only son John. Not too much can be said of John d' Avaranches. His wife's name is only known as Amice. They had three daughters; Joanna, Margaret and Elizabeth. John died at the young age of about 30 in 1257. In 1259 the King, Henry III, gave to two men, William de Renham and Emery de Bezill, the wardship of John's daughters. Two years later, Emery de Bezill was granted the marriage of Amice. Elizabeth Avranches married Matthew de Bezell, nephew of Emery. The land that she brought into the marriage through her inheritance stayed in the family for quite some time, eventually coming into the Fettiplace family. William Dugdale, The Baronage of England After The Norman Conquest, (London: Thomas Newcomb, 1675). Hubert Hall, The Red Book of the Exchequer, Vol. 1, (London : Eyre and Spottiswood, 1896) 79. Great Britain, Exchequer, Liber feodorum. The book of fees, commonly called Testa de Nevill, reformed from the earliest MSS, (London: H. M. Stationary Office, 1920) 275. Archives (https:archives.org : accessed 6 July 2016). The Great Roll of the Pipe for the 13th year of the reign of King John, Michaelmas, 1210-1211 Page 242,(http://www.kentarchaeology.org.uk/Research/05/1210/242.htm : accessed 6 July 2016). 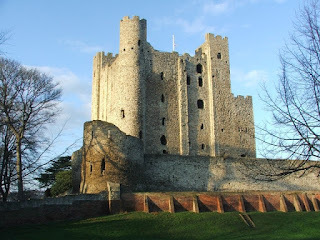 Paul Hillman, "Rochester Castle and the Great Siege of 1215," Paul's Castle (http://myweb.tiscali.co.uk/castles/page34.html : accessed 7 July 2016). William Farrer, Honors and Knights' Fees, Vol. 1, (London : Spottiswoode, Ballantyne, and Co., 1923) 263. 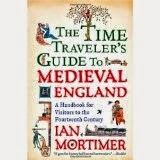 I should start this by saying that doing research on ancestors who lived in medieval times is hard. Information is scanty at best and many times relationships are based on what little is available and how it is interpreted. This can mean that what we think may not be what was true. Lots of older books are readily available online but newer books with better information may not be and therefore there may be changes in ancestry that you are not aware of if you rely only on the the old books. Ancestry dot com is best avoided for most genealogy research and certainly if you are doing research past the year 1500 or so. That being said if you think I'm wrong please let me know and provide your sources for any corrections. There's nothing worse that someone telling you you have it all wrong but not telling you why they think they are right. That being said, here is what I think I know about the de Say ancestry of Thomas Dudley. The farthest back this line can be somewhat reliably traced is to Jordan de Say. Jordan was married to Lucy de Remilly. William's parents were not the oft reported Geoffrey and Hawise de Clare. A Hawise de Clare did marry a Geoffrey de Say, but it was several generations later. The Jordan/Lucy lineage has been accepted by Keats-Rohan. It's not a nice tidy fit, if fact it make some assumptions with no facts to back it up, but for right now it's the best I'v got. William de Say was born early in the 12th century. Henry I, of England, was crowned in 1100 after the death of his brother William Rufus. The following year, Robert Curthose, Duke of Normandy, attempted to invade England and claim the throne,he failed. In 1106, Henry invaded Normandy and imprisoned the Duke, his own brother, and took his title Duke of Normandy. This reestablished the Anglo-Norman kingdom. Many of the wealthy Norman lords held lands in both Normandy and in England. Henry, unfortunately, had for his heir a daughter, Matilda. Before his death in 1135, Henry made the leading barons swear allegiance and support for his daughter. Matilda had left England at age five to marry Henry V, Holy Roman Emperor. Hence her title of Empress. Henry died in 1125 and Matilda married Geoffrey Count of Anjou. Despite their oaths many barons defected to the side of Stephen of Blois, a grandson of William the Conqueror. What followed was many years of war for England, in a period of time known as "The Anarchy." One of the barons who played a major role in this drama was Geoffrey de Mandeville. While she acting as queen, Matilda issued charters for land, positions and money, presumably to bind the turn coats to her side. In her second charter to Geoffrey de Mandeville she made grants to his supporters as well as to him. One of these men was our William de Say. It is suggested that Jordan de Say held lands in both Normandy and England. 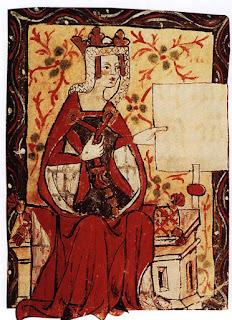 In a charter written in 1142 his English lands were granted to his son William by Empress Matilda. Matilda was only in the position to write charters for a brief time. Why would she give William de Say his father's land? Jordan de Say was still alive in 1142. The chroniclers say that William was a stout and war like man , and Matilda was in need of fighters. But he was also something else, he was the husband of Beatrix de Mandeville, sister to the Earl of Essex. Did the connection to the Earl influence Matilda's grants or did she even have a choice in the matter. Beatrix and Geoffrey were the children of William de Mandeville and Marguerite, the daughter of Eudes de Rie. William's father, Geoffrey, had either come with William the Conqueror or came shortly there after. He was recorded in charters as early as 1070. Beatrix had previously been married to a Norman lord named Hugh Talbot. For unknown reasons, Hugh and Beatrix were divorced. It was written that Geoffrey brought his sister over from Normandy to marry de Say. It is not known if Beatrix and Hugh had any children. In 1143 King Stephen was back in control of London, and apparently he wasn't to happy with Geoffrey de Mandeville. Geoffrey was arrested in St. Albans in October of 1143 and stripped of his Earldom and his castles at Pleshey and Walden and the Tower of London. This loss of title and lands pushed Geoffrey into open rebellion. He set himself up as a 'robber baron' in the fenlands of England. He was joined by his brother in law William de Say. They seem to have set themselves up at Ramsey Abbey from where they could control and ravage the countryside. Geoffrey's actions were so terrible that he was excommunicated by the Pope. While besieging Burwell in Cambridgeshire, he received a mortal wound and later died at Mildenhall in Suffolk. Although it was written that William de Say also died during this battle, he seems to have survived for a few more years. Presumably he sought forgiveness from King Stephen. William and Beatrix had two children who lived to adulthood, both sons. William the elder and of course another Geoffrey. It is estimated that their parents were married by about 1135 and their father was dead by 1155. This would make them young men when they lost their father. But, men grew up fast and died young in those days, so it was not unexpected. 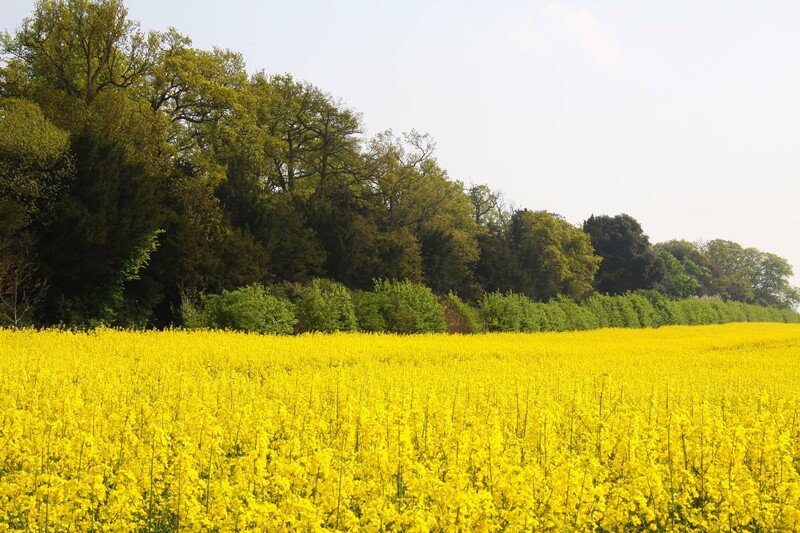 William's oldest son and heir held land in Kimbolton in Huntingdonshire and in Saham in Norfolk. William's uncle, Geoffrey de Mandeville has started a Benedictine Abbey called Walden near Saffron Walden. I'm sure it was to atone for past and future sins. The de Say family continued to support the Abbey with grants of land, and William's name is found in their records. William's name is also recorded in the Liber Rubeus de Scaccario or Red Book of the Exchequer. This 'book' was begun by the officers of the exchequer in the 13th century and contains various documents, deeds, charters and other related matters. If William did anything of great importance in his life, it went unrecorded. There is not much more to add about him. England had a new, stable king beginning in 1154. Henry II, the son of Empress Matilda was crowned. He was an energetic man who took his role very seriously. England's house was in order, at least for a while. The name of William's wife is unknown. She was not Aufrica, daughter of King William of Scotland. Aufrica married William son of Geoffrey de Say, nephew to this William. William had only two daughters as his heirs. The William who married Aufrica had a son, also named William, who was his heir. If Our William was married to Aufrica then his daughters would not have been his heirs. Any hoo, William died at a fairly young age, by 1177, so he was about forty, give or take a few. Beatrice de Say was the elder daughter. 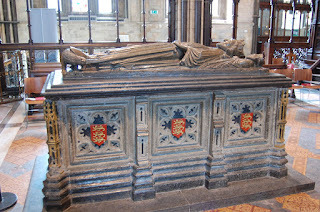 She married Geoffrey FitzPiers who would be created the Earl of Essex by King John in 1199. Geoffrey's parents were Peter de Ludgershall and his wife Matilda. 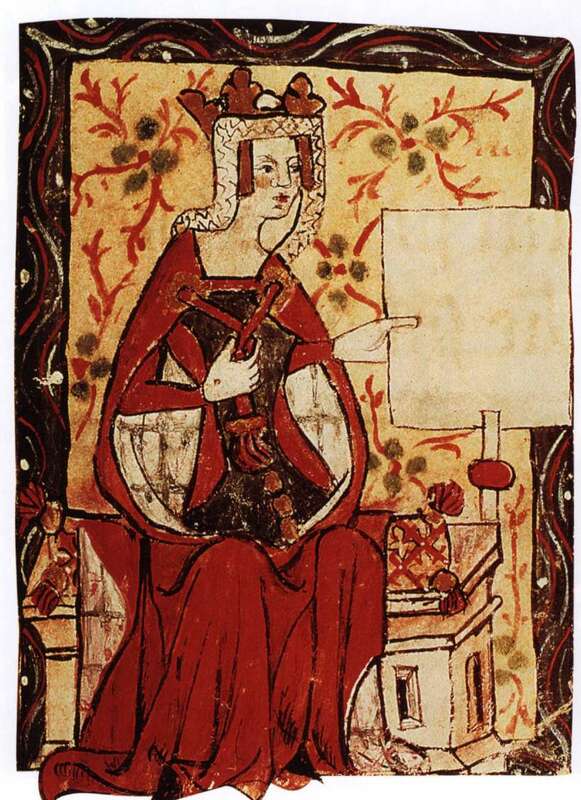 Matilda married Hugh de Bocland as her second husband. Matilda de Say married William de Bocland, son of Matilda and Hugh. So it seems the two sisters were married to half brothers. 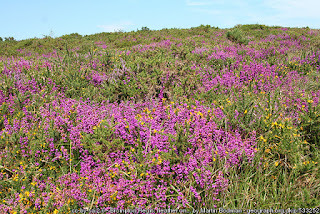 See this blog article on the de Boclands. The lands of their father were first divided by charter and confirmed by King Henry II. This charter and division were reconfirmed by King Richard I in 1198. Beatrice got the lions share of her father's estate. This had more to do with her husband being a mover and shaker at court rather than the fact she was the older sister. Geoffrey was justiciar of England from 1198 to 1214 and pretty much got what he wanted. Matilda got one manor, that of Bruninton, the service of two tenants and the promise of land to value of about ten pounds. Beatrix, mother of the two girls, lived a long time. She is said to have lived into her eighties. She was described as a "model woman" and was a frequent visitor to Walden Abbey, which had been established by her brother, the Earl. She lived at Rickling, Essex, five miles from the abbey. She feed the poor and sick from her home. When Beatrix's nephew, the 3rd Earl of Essex, died childless in 1189 she was next in line. But in 1189 she was an old woman, so she passed tried to pass the title to her son Geoffrey. He could not pay the large amount of money he had promised to obtain the land and titles. The lands went instead to Geoffrey FitzPiers, husband of her granddaughter Beatrice, and a favorite of King Henry II. 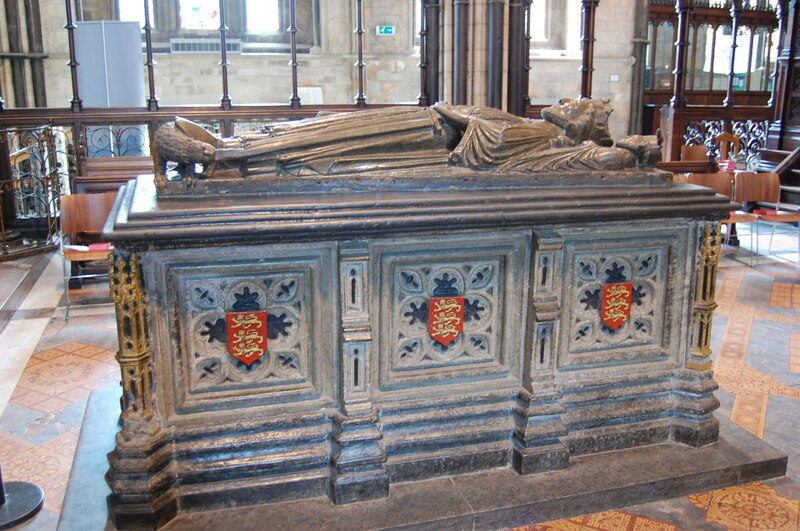 Geoffrey was given title by King John I when he inherited the throne in 1199. William Farrer and Charles Travis, Early Yorkshire Charters, Vol. 7, The Honor of Skipton, (Cambridge: Cambridge University Press, 2013)30-35. Timothy Venning, Normans and Early Plantagenets, (Barnsey: Pen and Sword, 2014). J. H. Round, Geoffrey de Mandeville, a Study of the Anarchy, (London, 1892), p. 233, quoting Harleian Cart., 54, I, 44. John Bernard Burke, The Roll of Battle Abbey, Annoted, (London: Edward Churton, 1848) 75. Dugdale Monasticon IV, Walden Abbey, Essex, II, p. 142. (When I plugged the line into my Latin to English translator it said that William de Say had an undaunted spirit and was warlike). Catherine Lucy Wilhelmina Powlett, The Battle Abbey Roll: With Some Account of the Norman Lineages, Volume 3, (London : J. Murray, 1889) 127. John Horace Round, Geoffrey de Mandeville, A Study of the Anarchy, (London: Longmans, Green and Co., 1892). William Dugdale, Monasticon Anglicanum: A History of the Abbies and Other Monasteries, Hospitals, Frieries, and Cathedral and Collegiate Churches, with Their Dependencies, in England and Wales; Also of All Such Scotch, Irish, and French Monasteries as Were in Any Manner Connected with Religious Houses in England, (London, 1823). Hurbert Hall, Red Book of The Exchequer, Volume 1, (London: Her Majesties Stationary Office, 1896). 373-374. Geoffrey White, The Complete Peerage of England, Scotland, Ireland, Great Britian and the United States, Vol. 11, (London : St. Catherine's Press, 1949) 465. John Horace Round, Ancient Charters, Royal and Private, (London: Wyman and Sons, 1888) 108. Andrew Brown, Church and Society in England, 1000-1500, (Houndsmill, Basingstoke : Palgrave MacMillan, 2003). What to know more about life in medieval England? This is a neat book with lots of good information.